California approves a law to boost participation among minorities and those less well off in the marijuana industry, Colorado’s U.S. attorney threatens to crack down on licensed cannabis businesses that divert product to the black market, and members of Congress urge the U.S. government to expand the number of cultivators allowed to grow MJ for research. The Golden State is opening its wallet to reverse the fallout from the nation’s war on drugs. California Gov. Jerry Brown signed legislation to assist municipalities in their efforts to widen participation among minorities and economically disadvantaged individuals in the marijuana industry – two groups that were disproportionately affected by the U.S. drug war. Roughly $10 million has been earmarked for loans, grants and technical assistance for these groups. Los Angeles cannabis attorney Hilary Bricken said the funds are critical for local social-equity programs to succeed. Some programs, such as the one in Los Angeles, provide opportunities for MJ businesses to enter markets more easily by becoming partners of social-equity applicants or providing financial support. 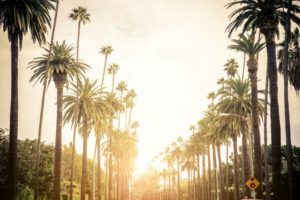 “The bottom line is that a lot of people don’t see this as a great social experiment but as a commodity they want to capitalize on,” said Bricken, who has written about the pitfalls of the L.A. program. Marijuana businesses reportedly are taking advantage of their social-equity partners – selling their stake for a quick profit, or circumventing the spirit of the programs. California is indicating it will evaluate the fitness of local equity programs, Bricken said, so she hopes that means the state won’t release funds to groups trying to game the system. Still, she’s not optimistic that social-equity programs will succeed. The U.S. attorney for Colorado, Bob Troyer, issued a “warning shot” by threatening to crack down on state-licensed marijuana businesses that divert product to the black market. That’s according to one legal expert. Gillette noted this isn’t a new threat. “That’s sort of always been a threat from the U.S. attorneys … that under the Cole Memorandum, if you’re not operating in compliance with state law, you certainly were not immune from potentially having federal enforcement at your front door, even if you had a license,” Gillette said. She added the best defense for a marijuana business facing federal pressure is to ensure it follows the letter of the law. Federal labor standards, including those stipulated by the Occupational Safety and Health Administration. “There’s a whole slew of things you have to be in compliance with to make sure you’re a good and responsible business and community member in an industry that remains federally illegal,” Gillette said. A trade war, it’s not. But a recent decision by the University of San Diego (USD) to import cannabis oil from Canada for federally approved research irked 15 congressmen into writing the Drug Enforcement Administration and its parent, the Department of Justice, asking why they hadn’t acted on an Obama-era effort to expand the number of growers with federal permission to cultivate cannabis for research. The lone federally approved grower in this country, the University of Mississippi, does not process its cannabis into oil, which the USD researchers preferred for their study over flower, compelling them to import oil from Tilray, a medical marijuana cultivator in British Columbia. “If there were other domestic manufacturers, they might offer this option (oil),” the letter writers said, wondering why a Canadian marijuana grower should profit over a U.S. cultivator. How much of a market is there for federally approved marijuana research, anyway? According to Richard Shain, president of Maridose, one of 27 companies that applied for federal permission to grow MJ for research, the short-term market is small. But the long-term possibilities are explosive. “Right now, it’s not that big, it’s a niche. But there’s huge potential. This is going to explode once the pharmaceutical companies come in,” he said. A bill before Congress calls on the feds to expand the number of growers to at least three. The DEA has requested a dramatic increase in the amount of cannabis grown for research. The agency set the amount for 2019 at 2.45 million grams, or 5,401 pounds. For 2018, the DEA set the quota at 443,680 grams, or 978 pounds. Further, Shain noted, the government pays a set price of a $2,497 per kilo, or about $1,134 per pound. So, if Maridose was one of the three growers selected and was contracted to grow one-third of cannabis requisitioned for 2019 – 1,800 pounds – that would be more than $2.04 million. Not bad. But Shain – who bought property in Maine that he plans to use for his grow if approved by the feds – believes the cannabis-for-research market will skyrocket to as much as $42 billion annually after pharmaceutical companies enter the MJ industry. “The volume is in the pharma side,” Shain said. “The DEA has requested a dramatic increase in the amount of cannabis grown for research. ” That’s hilarious! “research” I’m going to split my sides and bust a gut!